Personally, I don’t think that it is all that difficult to speculate what that pressure might be about. This is happening almost exactly a year since Macmillan boycott and the Agency Model went into effect. If, as I surmise, Amazon is once again in negotiations with publishers then lending and ebook rights are almost certainly on the agenda. That, coupled with the sudden rise of several services facilitating the loan of ebooks (with some even charging a fee for the service), does not bode well for readers’ rights in the future. I also think that it is highly unlikely that it is a coincidence that this situation and the Harper Collins limit on libraries lending eBooks are happening at the same time. Harper Collins has been strangely silent on the library lending issue which may mean that it has some bearing on larger negotiations with retailers. Watch this space; we are going to hear a lot more about these lending issues. One of the things that is great about the new popularity of eBook readers is the ever-increasing number of accessories that are available. The plethora of choices really allows an eReader owner to personalize their reader and express their own individual personality. Today, I saw these new covers for the Kindle and absolutely fell in love! 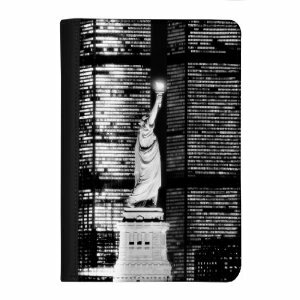 Made by Verso, each of the three covers features an image of New York City from the The New York Times Photo Archive. The pictures included in the series are View from River House, The Flatiron Building and The Statue of Liberty (pictured). The Amazon page for each cover includes information about the photo. This blog post composed while listening to The Best of Sam Cooke. There’s a new Notepad App available for the Kindle that looks pretty interesting. The ability to take notes on the Kindle has been something that many users have been asking for. This one has many of the most requested features: Speed, searchability, ease of use and the ability to transfer files to a computer. The early reviews on the program are quite promising. And did I mention the fact that it’s only a dollar? The developers have put some video explaining the use of the program on their blog. A couple of caveats for new Kindle users: This is active Kindle content which does not work on the first generation Kindle (K1). It should work on the second generation Kindle (K2). As of March 17, the app is not yet available for purchase in Canada. I just downloaded it myself and will do a review as soon as I have had a chance to work with it. What’s in your ebook bill of rights? One of the big issues over this last week has been Harper Collins’ announcement that they were placing limits on how many times a library book may be circulated. The last-minute announcement broadsided librarians and readers alike. (There are roundups of the blog entries and media coverage available and you can follow the discussion on Twitter under the hashtag #HCOD.) EDIT: Sorry, but that hashtag no longer has the same meaning and that information is no longer available. 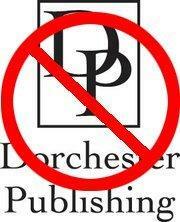 Ironically, the new limits went into effect on March 7, 2011, right at the beginning of Read an Ebook Week. Those discussions have yielded a lot of interesting ideas about accessibility, DRM (Digital Rights Management) and the future of ebooks. One of these ideas is the aggressive promotion of an eBook User’s Bill of Rights, most frequently the one offered by Sarah Houghton-Jan on her blog, Librarian in Black. 3) You have the right to proper formatting by default. a) Formatting should mirror a proper printed book. b) Paragraphs should have indents without spaces between paragraphs. c) Only after such proper default formatting should a reader be able to mix things up via a device’s software settings (typesize, spacing, margins — in other words, reflow overrides). A site called the Reader’s Bill of Rights promotes rights for readers of digital books. 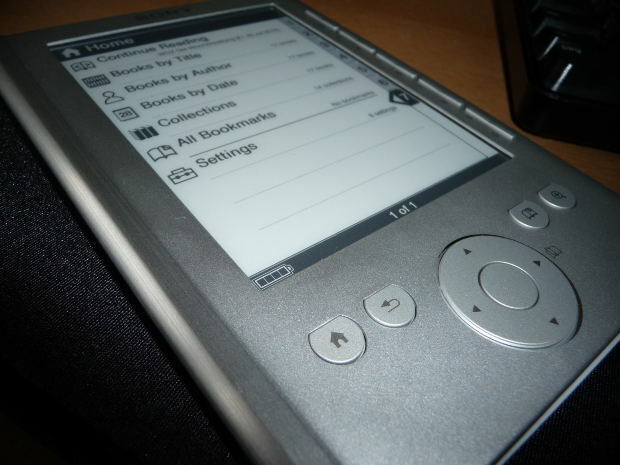 Created by librarian Alycia Sellie and technologist Matthew Goins, the site advocates critical looks at the downsides of ereader technology and has an anti-DRM stance. 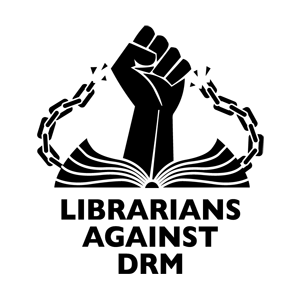 The powerful graphic for Libraians against DRM shown above comes from their site. (Note that this site was registered in April 2010, well before the Harper Collins OverDrive announcement.) Its bill of rights focuses more on DRM and accessibility. The site also has an interesting blog entry about the ALA president speaking out about this issue on Facebook. The entry links to one of the best arguments I have ever seen for NOT joining the social networking giant. Each of these rights statements makes it extremely clear that they are meant to be starting points for the conversation about rights. It is also quite obvious that each author has different priorities that are important to them, whether it is the first sale doctrine or DRM. What I personally find extremely surprising, given all the discussion about eBook prices, is that none of these rights statements even mentions the concept of the price of digital books as an important factor. How about you? Is there something that you think should be included in an ebook bill of rights? Is a fair price something you would like to see as part of the discussion?